There are some fast acting home remedies for tooth pain relief. But, there are also plenty of myths that simply do not work. The last thing you want to do, when you have a severe toothache, is to waste time on “do it yourself” solutions that are not proven to work. At Dental Dorks we have tested, researched and developed a solid list of what works and what doesn’t when it comes to soothing tooth pain. Check it out! 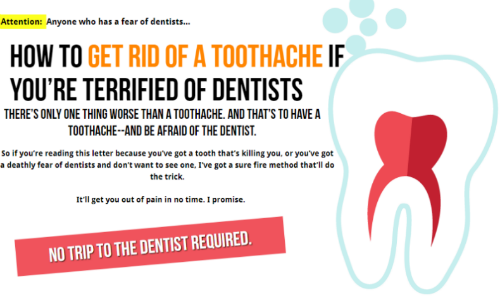 Click here or the image below and learn how to avoid visiting the dentist’s office. This method will save you money, time and unpleasant experience! Below you will find the reviews for our list of 14 home remedies that have proven to relieve tooth pain, time and again. Ginger and Cayenne pepper are both heat packed spices. Do not try this if you have a low tolerance for spicy and hot substances. In order to make the paste, you will need a teaspoon of powdered ginger and an equal amount of Cayenne pepper spice. Place them in a small cup and add a few drops of water. Remember, you are trying to make a paste, not a soup. Soak a cotton ball or swab into the mix until it absorbs enough of the paste. Next, place the cotton swab on the tooth that hurts and try to keep it there until the pain begins to fade. The Cayenne can be quite irritating to the gums, so avoid that area. Raw ginger can be used for pain relief just as efficiently. Cut a small piece of ginger root, peel off the skin and bite on it with the affected tooth. Chewing on the ginger root will release additional juice and speed up the tooth pain relief process. Store the rest of the ginger root in your fridge for later use! 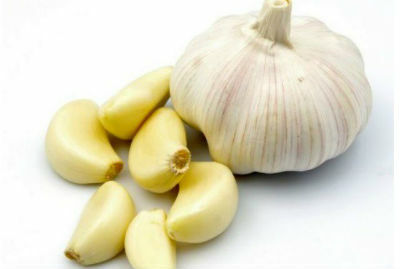 Besides giving you a killer bad breath, garlic can also be used as a vampire repellent. Perhaps all you have to do after eating garlic is open your mouth at close range and the vampires will run away. Apart from the above life-saving uses, garlic has been proven to be an extremely effective antiseptic. Its strong antiviral, antifungal and antibacterial properties make it medicinal wonder. There are a variety of ways garlic has been used to treat toothaches and some of these methods date back to 2000 B.C.E. In a way, we are only updating the medical dictionary with scientific terminology. The Egyptians, the Greeks, and the Romans have all used garlic as part of their oral health routines. See, garlic has the ability to act as a natural anesthetic and an antibiotic at the same time. The herb contains a special compound known to modern chemists as Allicin. This powerful antibacterial agent has the ability to give pain relief to the affected tooth area within 20 to 30 minutes of being applied. There are three proven home remedies for soothing tooth pain that involve garlic. This is what we call the Viking’s way and is recommended if you have severe tooth pain and inflammation. It is super easy to utilize, but not everyone can withstand the taste. 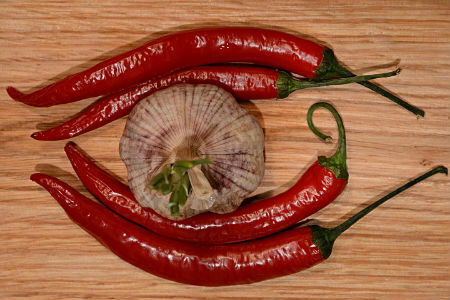 Simply cut a garlic clove in half and apply one side to the inside of the tooth/gum and the other to the outer side. Rub both halves for 6-10 minutes, or at least until you start feeling some pain relief. When the pain begins to fade away, start chewing on the clove halves. Make sure you use the problem tooth for chewing, so all the juice that is being released hits the affected area. Pain and inflammation should be reduced within 30 minutes at the expense of a really bad breath! 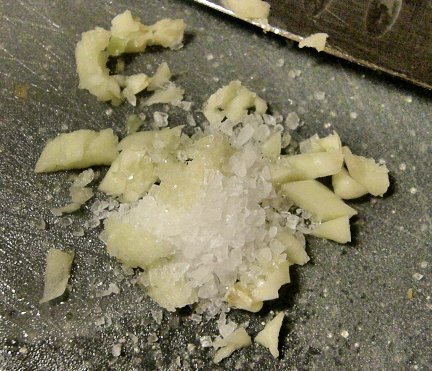 First, take a clove of garlic, crush it, and mix it up with some salt until it looks like a paste. Take a pinch of the mix and apply it to and around the affected tooth area. Make sure you do not overuse it because the garlic can leave a robust burning sensation. Next, prepare a mix of warm water with salt. Leave the garlic and salt mix on the affected area for several minutes, and rinse with the warm water mix after. Make sure you rinse well and there are no particles left in your mouth. Start by crushing a clove or two of garlic. No more than a teaspoon. Next, take the similar amount (1 teaspoon) of peanut butter and mix the two ingredients into a paste. Apply the mix to the affected tooth and leave it there for 5-10 minutes. Remove quicker if you start feeling a strong burning sensation. Using organic peanut butter is best because it contains better levels of resveratrol – a natural antibiotic and antioxidant. Combined with garlic, this mix makes for a very powerful and quick acting home-made toothache remedy. Don’t forget to thoroughly rinse with water afterward. You can use a mix of warm water and salt like I mentioned above. Clove oil is not for everyone because it has a rather strong smell and taste. In addition, your digestive system might disagree with it, especially if used in larger quantities. But, fear not. 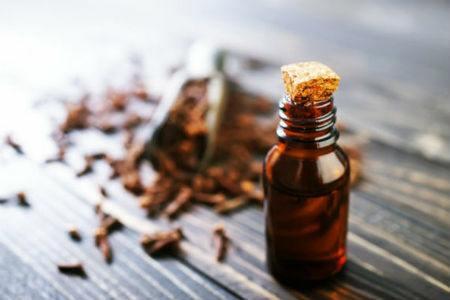 In order to soothe a toothache you only need to use a dab of clove oil for a short period of time. Finding this oil should not be an obstacle as it is readily available in drug stores and local supermarkets. Use a teaspoon of the oil and soak a cotton swab or a clean tissue in it. Make sure it is not dripping and gently rub it all over your affected tooth and gum area. If the taste is unbearable, you can dilute the clove oil with some regular olive oil. Read more about this method of pain relief in the Journal of Dentistry. Commiphora myrrha, or simply myrrh, has strong antiseptic properties and has been used effectively for oral healing by ancient Egyptians, Chinese, Arabs, and African people. Or so the old manuscripts say. Modern day science says that myrrh’s astringent properties can reduce bacteria and fight inflammation. Simmer half a teaspoon of myrrh in a cup of water and use the mix to rinse your mouth five or six times in a day. While this is likely to kill bacteria and prevent further inflammation, it is not a very effective home remedy against toothaches. 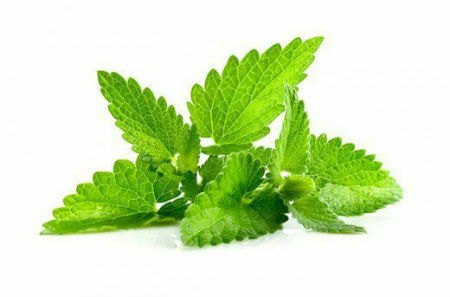 Peppermint has strong numbing properties that can quickly bring relief to an aching tooth. It is regarded as one of the most effective natural analgesics. In fact, peppermint is present on the labels of most pain relieving sprays, creams, and gels sold in drug stores. The quickest way to soothe an aching tooth is to place an organic peppermint teabag in the freezer and then apply it directly onto the affected tooth. Of course, this is not advisable if your teeth or gums are cold sensitive. In this case, you can try applying the tea bag without freezing it first. Peppermint oil can be used the same way as clove oil. Just dip a cotton swab or tissue in it and apply it to the painful tooth. 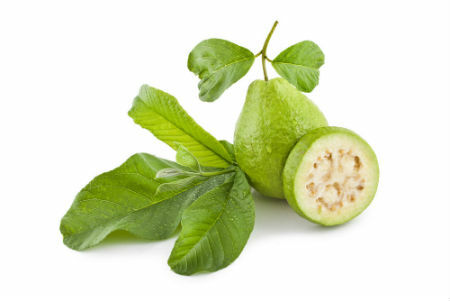 Research has shown time and again that guava leaves have a very high level of flavonoids. This “super leaf” is comparable to Manuka Honey when it comes to its antimicrobial and analgesic properties. Science has found a positive correlation between chewing guava leaves and alleviating toothache as well as relieving swollen gums. This is why herbalists consistently use the extract from the leaves in their all-natural toothpaste products. Chewing on a couple of leaves until their release some juice into the affected area. Place five or more leaves into boiling water for a few minutes. Once the tea-like liquid cools off, add some sea salt. Make sure the solution is not too hot, and use it as you would any mouthwash. 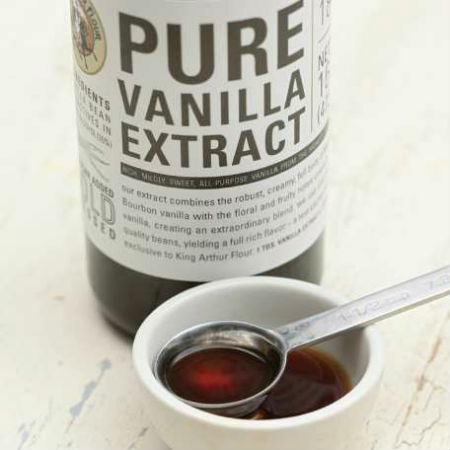 If you like baking, you are likely to have some vanilla extract lying around in a kitchen cabinet. What comes as a surprise to most people, is that vanilla extract contains a small concentration of alcohol. Yes, maybe this is why your guests keep coming back for those vanilla cakes that you bake! All jokes aside, the concentration of alcohol is small but enough to numb the pain in your teeth. In addition, the pleasant scent of vanilla will have an overall calming effect on the body. This works especially well with children and babies. There are two ways to apply the extract to the affected area. One way is to soak your finger in the extract and use it to rub the vanilla on and around the tooth. Use light pressure and repeat 3 times within 5 minutes or so. The second approach also involves rubbing. But, this time around, use a soaked cotton swab that has been soaked in the vanilla extract. You can gently rub the cotton ball on and around the tooth. Make sure you rub it on the gum as well. It is also desired to keep the cotton swab pressed towards the affected area for a few minutes. No dark magic or secret ingredients here. Just good old water is frozen in a solid state. Applying cold to an inflamed area helps to lower the pain and swelling in superficial nerves. Whether you choose to use frozen vegetables or actual ice packs, make sure they are wrapped in a towel and applied to the outer side of your face. NOTE: Never apply ice directly to your teeth. Especially, if you have a painful tooth or gum and you are looking to relieve it, rather than stimulate it. Also known as Acmella oleracea, toothache plant is a low-growing plant that blooms repeatedly summer through fall. The medicinal uses of the Acmella are closely associated with overall oral hygiene, especially gum health. In addition, scientific research and testing have demonstrated the plant’s strong effect against E.coli, Pseudomonas, salmonella and klebsiella pneumonae. 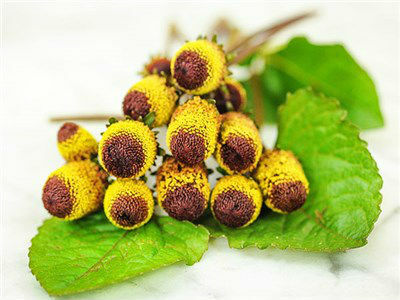 Using the Acmella oleracea for toothache relief is simple. Getting a hold of the plant is the hard part. It is not something you will walk past on your way to work. It can be found in a variety of online herb retailers or holistic drug stores. Chewing on the leaves or flowers of the plant will produce a numbing effect on the gums. In 5 to 10 minutes, the tooth pain should be entirely suppressed or lowered down to a minimal level. If the pain persists with the same intensity, you might be faced with something more than a regular cavity. Swishing salt water around in your mouth will prevent further swelling. It is a good thing to do if you have an emergency and are on the way to the dentist. However, dissolving a teaspoon of water into a cup of boiling water is not enough to get rid of a painful tooth. It offers a good cleansing rinse, but that’s about it. In order to properly treat a toothache with salty water, you need to apply oregano essential oil and colloidal silver first. Start by placing 3-4 drops of the oil under your tongue and hold it there for up to 5 minutes. Spit out the oil and swish some colloidal silver around your infected and painful area in the mouth. You will need to swish and rinse with the colloidal silver 3-4 times. Use the pauses between swishing to gargle with salt water (preferably sea salt). Afterward, apply a soaked cotton swab of oregano oil to the gums and rub it. Onions are delicious when a part of a Greek salad or a home-made Italian soup. They also offer a strong punch of antiseptic and antimicrobial properties that kill bacteria. Cut a piece of fresh onion and apply it to the affected tooth. Let it sit for five minutes or more. 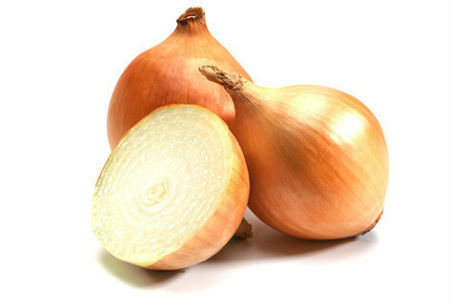 Chew on it if the taste does not bother you, so the onion can release extra juice and speed up the healing process. This is it! Nice, simple and it works! There is nothing a shot of good old bourbon cannot fix! Well, not according to the American Dental Association (ADA) and the New York Times. There is no scientific evidence that drinking or applying bourbon and whiskey to an aching tooth will help alleviate the pain. For this reason, Dental Dorks does not recommend this method. 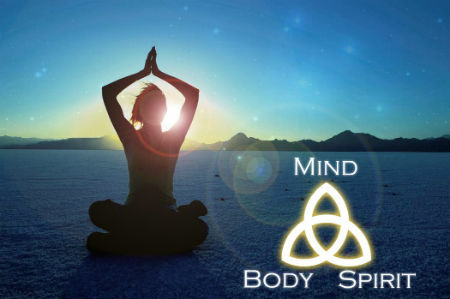 Some holistic dentists talk about relaxing your body and mind in order to alleviate tooth pain. This is not something you will hear your dentist talk about. This approach is similar to meditation. You just need to know how to relax, think about something pleasant and maybe play some soothing music in the process. The idea of this method is to divert your attention from the pain. Since it is based on a spiritual rather than physiological or chemical approach, I cannot testify whether it works or not. Plus, I have never tried meditating, so I would probably not be the best candidate for this trial. I love acupressure as a general pain relief method when applied to my back or neck. Especially after a sleepless night or a long day at the desk. In order to test this method, you need to use your right-hand thumb and press the point on the back of your left arm where your thumb and index finger connect. That’s right, you are not pressing anywhere near your painful tooth. Supposedly, if you hold this point pressed for two minutes you will trigger the release of endorphins (the feel-good hormones in your brain). At Dental Dorks we cannot recommend this technique. It is a bit too holistic to us, much like the meditation method. This home remedy calls for soaking a piece of brown bag (like the ones that you get from the grocery store) into any kind of vinegar, sprinkling some black pepper on one side, and applying it against the cheek. The warm sensation is supposed to soothe the pain, but in reality, it does not. It simply gives your cheek a warm and wet feeling. Research has shown that cucumbers are hemostatic, this is why the beauty industry recommends them as a remedy for under the eye circles. Any regular cucumber offers some degree of a soothing effect. Unfortunately, no regular cucumber will help you get rid of a severe toothache. This method suggests that applying a cold piece of cucumber sprinkled with salt around the aching tooth will help alleviate the pain. While the cold and salt can have a brief soothing effect, it will not last more than a few minutes.